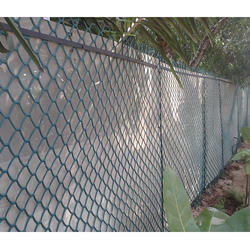 Our product range includes a wide range of Polymer garden fence and GI chain link fence. Polymer Garden Fence enhances and protects the beauty of your garden. Our fences are made using HDPE and all parts are coated with corrosion resistant links. The spectrum of fences we offer provides an extremely convenient do-it-yourself kit for households, architects, landscapes, hotels, resorts and sports complexes. Looking for Protection Fence ?